With the turn of the season, our landscape completely changes – and not just in the obvious way. We have many migratory bird species, meaning that they only visit during certain seasons. Some migrate south during the winter to spend it in warmer climates, while others flock in. Take a look at our comprehensive winter birdwatching in Norfolk guide, detailing what species of birds can be spotted in the colder months, in our county. 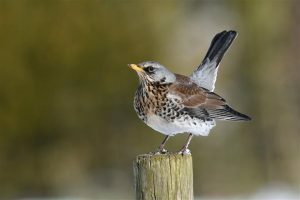 Very rare in the UK, but the Fieldfare is more common in Europe, from where it migrates. If there is a particularly hard winter in Europe, we tend to have even higher numbers of these winter visitors in Britain. These birds can be seen on grazed or ploughed fields, but also occasionally stray into orchards and gardens. Look out for: their white underwings and red-brown backs. You can sometimes hear their chuckling call, which is similar in sound to a football rattle. 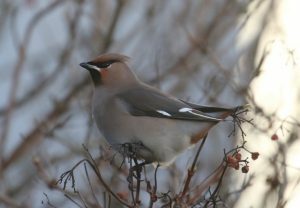 Despite having a healthy population, the Waxwing typically only visits in small numbers during the winter – about 1,000. During some years, though, they arrive in greater numbers. This is called an ‘irruption.’ They can be found feeding on berries – especially hawthorn and rowan among others, so they can often be found on supermarket car parks, where such berries grow. Look out for: their smoothly coloured, wax-like plumage and the crests on their heads. They’re about the size of a starling but are more colourful. Their distinctive black mask and throat is a giveaway. 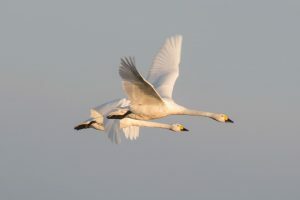 The smaller of two swans that visit us in the winter, the Bewick’s Swan is on the Amber list for conservation status, meaning its population has been on the decline. Fun fact: individual swans of this species have recognisable beak patterns. Look out for: these swans are the smallest that can be found here in winter. They look similar to the more common Whooper Swan, but have smaller necks and bills. 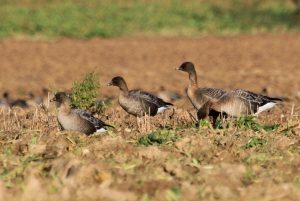 Despite being on the amber list, the Pink-Footed Goose flocks here in the tens of thousands every winter – especially in the north-west of Norfolk and part of the Broads. Listen out for: their shrill, cackling call. These birds are often heard before they are seen. You won’t always see their pink feet through the mud or mist, so look out for the brown-coloured features and shorter necks. The Bittern, or as it’s known in Norfolk, the Butterbump, is one of the rarest breeding birds in the UK. Additionally, it is well camouflaged and hides in the reedbeds, so to find one is quite the achievement. Their famous deep booming call, however, can be heard from up to 2 kilometres away! While they live here all year round, their populations are boosted in the winter by those visiting from abroad. Listen out for: their huge, loud booming call. 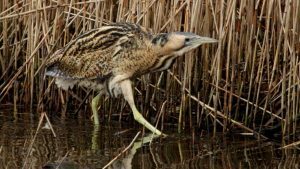 They’re almost exclusively seen in the reedbed, and can be identified by their black and brown plumage, and large throats. 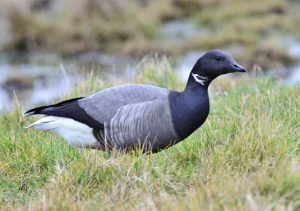 The Brent Goose can be seen in great numbers as they flock to Norfolk’s coastline during the winter, fleeing their arctic Russian breeding grounds. This makes North Norfolk’s saltmarshes one of the best places in the country to see this species. Look out for: the distinctive dark colouration of their heads, necks and bellies and white rear ends. 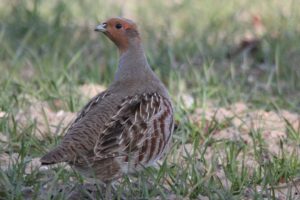 The Grey Partridge is a round, plump bird that is much easier to see during the winter in ploughed or stubble fields. A red-listed species, their numbers have sadly declined more than 80% since the 70’s. Look out for: males have a distinctive orangey coloured face and throat. They are fairly easy to spot, being round and plump with short legs. This unique bird’s numbers boom in the winter, increasing to around 2 million! 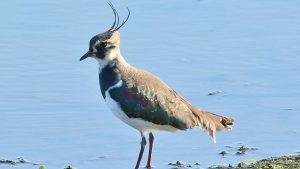 They stand out from the crowd with their beautiful green and purple iridescent plumage, and can be seen on open farmland, mudflats and meadows. The best place to see them is Breydon Water, as they arrive in great numbers there. Look out for: their iridescent plumage and poignant crest are incredibly unique to them. A little luck may be involved in the spotting of this bird, as their numbers vary considerably from year to year. 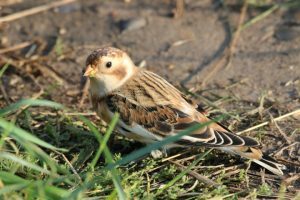 They arrive on the Norfolk Coast in October, but tend not to venture inland. One of the best places to see these birds is the shingle ridge at Norfolk Wildlife Trust Cley and Salthouse Marshes. Look out for: the unmistakable amount of white plumage on their wings and tail, contrasting with their black wingtips (especially visible in flight). And that about wraps us up! Honourable mentions have to go to the Treecreeper and Tree Sparrow, however, because although they are here all year round, they are much easier to spot in the winter, once the leaves have fallen from the trees. 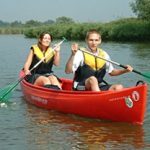 This was by no means an exhaustive list for winter birdwatching in Norfolk, however it does highlight the main visitors, and the birds to look out for during these cold months.